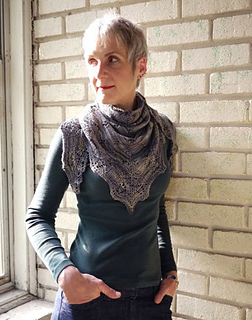 A silky, star-splashed triangle, worked from neck to hem in three sizes (mini/petite/tall) with a lacy hem of dancing firefly motifs. 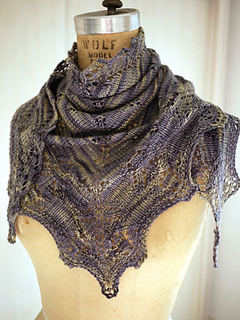 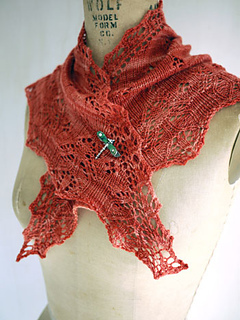 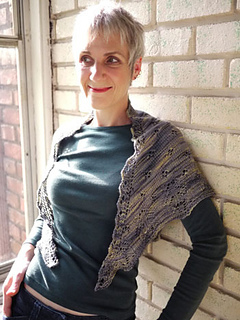 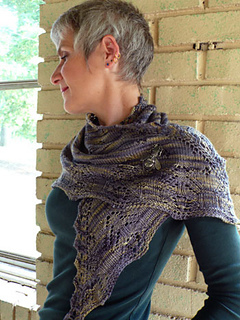 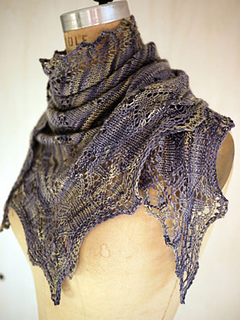 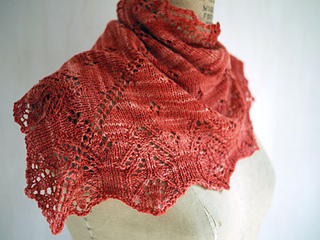 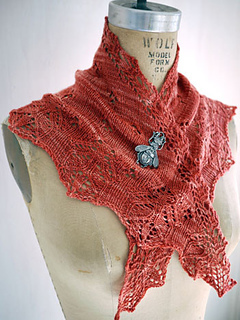 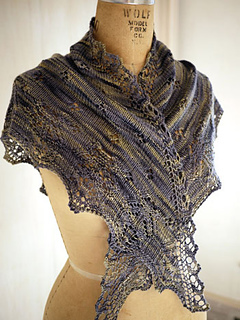 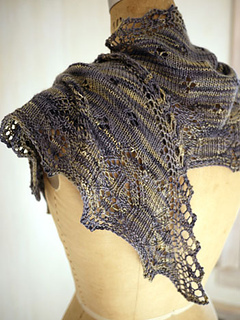 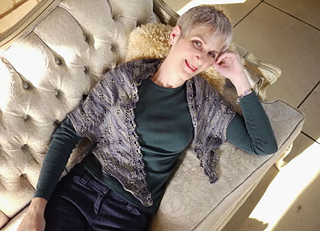 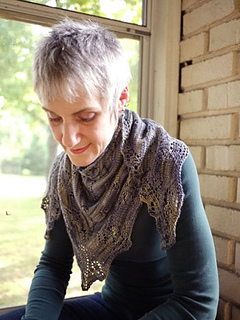 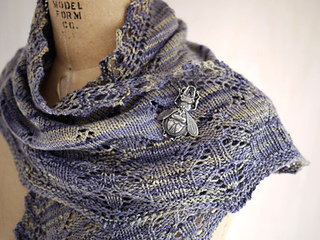 The easy-to-work stitch patterns and wrong-side rest rows make this piece a great first shawl project, or a fun, relaxing weekend traveler for experienced knitters. 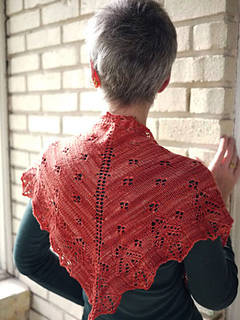 It’s ornate appearance belies its simplicity of construction; this piece knits up quickly and effortlessly to make a dazzling last-minute gift.